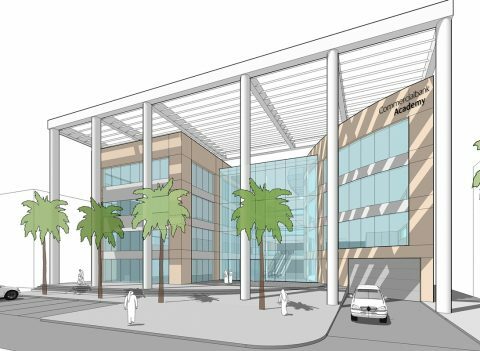 A mixed use education, office and retail complex in Qatar. 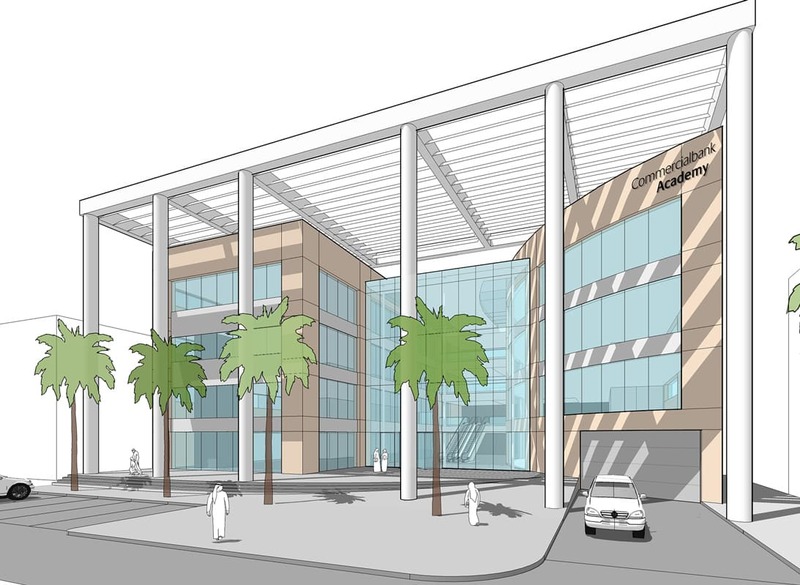 Design of a new mixed use development in Wakra, south of Doha. 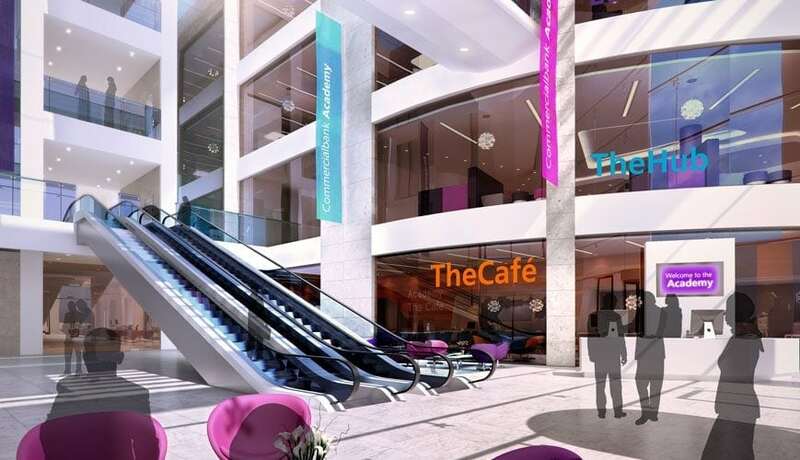 ‘Commercial Bank Academy’ will include retail and office accommodation, with the majority of the building devoted to a new business and skills academy. 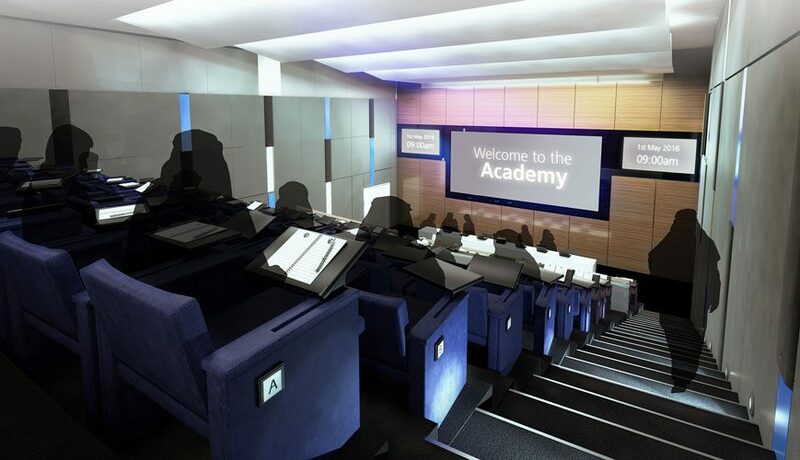 The facility will deliver staff training and academic courses in a series of high quality, purpose built spaces including auditorium, lecture rooms, classrooms, technology innovation suites and language labs. 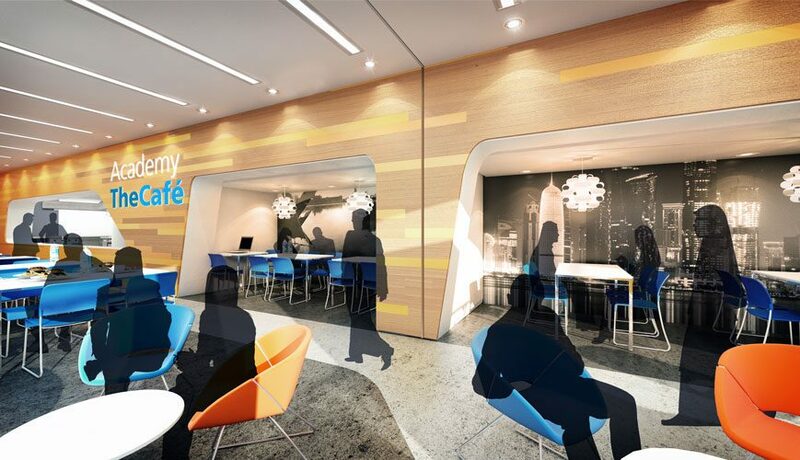 These formal teaching spaces will be supported by ‘The Hub’, a multipurpose digital library and resource space offering flexible work and study settings in a sociable and dynamic environment.